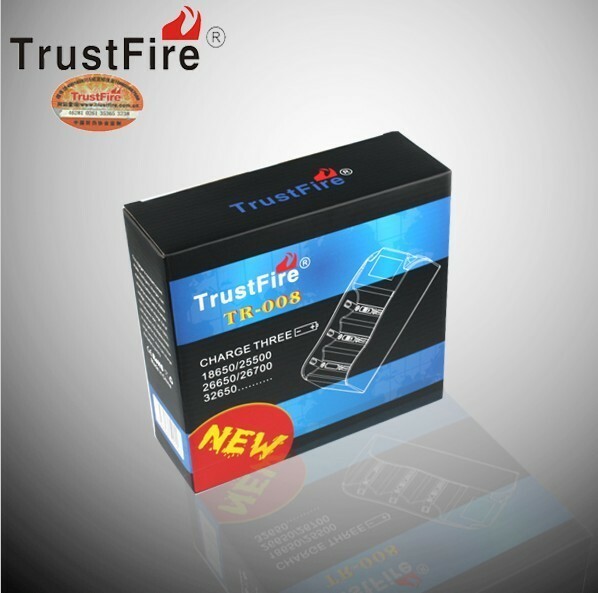 Buy New 32650 Battery charger | Trustfire TR-008 Three slots intelligent lithium battery charger for 32650,26650,18650,25500 lithium battery , from for $32.54 only in Website. Worldwide Fast Free Shipping! 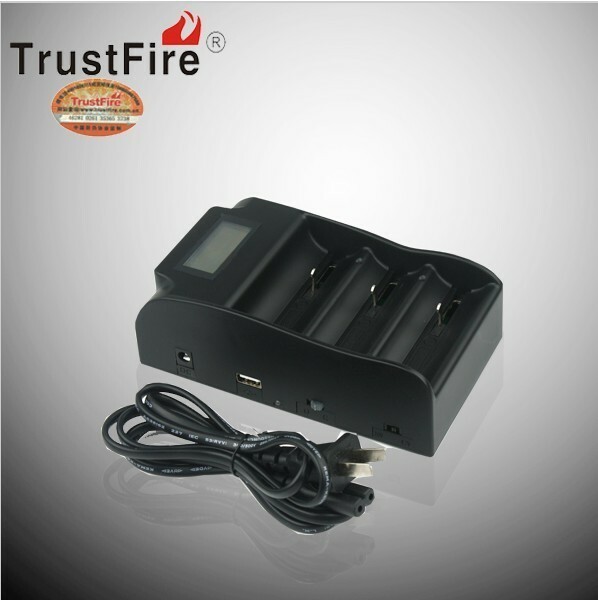 1.this charger is constant current PWM intelligent charger. 2.this charger can make the battery keep stable charging current in a certain voltage range.it is big current style charger,it will stop charging itself when fully charged. 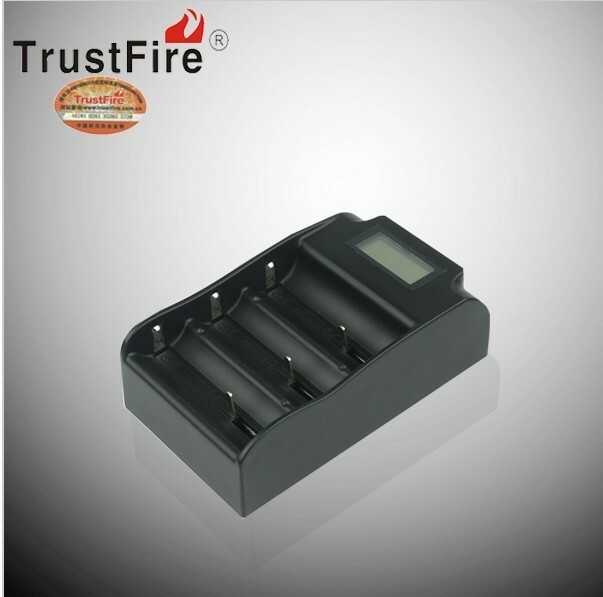 4.the charger inside using PWM control mode charging,using visualized LCD display,it is high voltage and big current constant current charging.it can achieve the purpose of rapid charging. 5.the voltage of the battery should ensure above 0.8V,if the battery's voltage is lower than this voltage,this charger can't charge the battery,it should use other way to make the battery's voltage above 0.5V.then use this charger to charge the battery. (1).first,the battery type selected switch should tune to the corresponding position,function selected switch tune to C,then the charger can normally work. (2).the charger connected to the electricity supply,LCD on,the screen shows our company logo,after 2 seconds to enter standby mode,now the screen shows Standby. (3).put the battery into the charging slot,good contact for its electrode and charging piece,LCD screen shows charging,the corresponding position shows battery icon,in addition,the electricity grid on the icon will flash,means the battery is being charged status,the left screen will display corresponding battery type. (5).When charging, due to the charging current is bigger, the charger will have a certain temperature,it is a normal phenomenon. (6).when battery is fully charged,the electricity grid on the icon will show full and stop flashing,means the battery is fully charged. (7).The charger is with anti battery inversion circuit,it can protect the battery and charger from damaging because of battery inversion. (8).The charger can charge 18650, 25500, 26650, 26700, 32650 type batteries. (9).the charger can charge 1.2V ni-mh batteries,3.0V lithium iron phosphate batteries and 3.7V li-ion battery,charger should be tuned to the corresponding position when used. (10).when battery selected switch tunes to 3.0V,the charger can simultaneously charge 1.2V ni-mh batteries,3.0V lithium iron phosphate batteries,in addition,LCD screen will show the type of being charged battery. 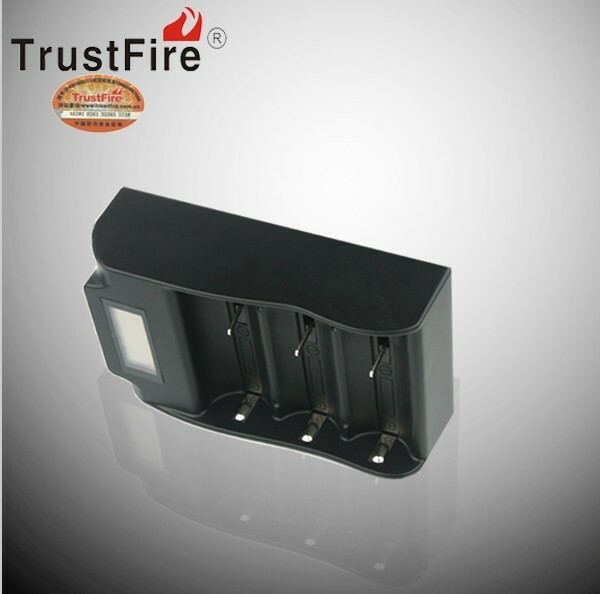 (11).the charger will identify the being charged battery,and will show on the right LCD screen. (12).the charger has the function of supply electricity outwards(moible power) through the rechargeable battery,end charging slot donot have the function,when using the function,function selected switch tunes to O,USB 2.0 male head inserts into USB output port.then the charger can supply electricity to cellphone and so on mobile devices. the charging current can be 1A.